I had to retake my driving test and the written test when I returned for furlough in 2007. My license had been expired for too long and they wouldn't grant an extension just because of extenuating circumstances - like I live in Africa most of the time. My brother got a big kick out of having to drive me to my test when both of us are in our 40's. Thankfully, I passed with no problems and the tester wasn't a stickler. Then I found out that in 2005 I couldn't renew online, but in 2007 and beyond CO. now allows it again. So, keep checking. Also check for extensions. You can usually get a year extension with no problems - it is just the next year when you might have some problems in CO. I don't know if the same is true for OH. That's funny about your brother and you. Haha. I never heard of filing an extension. Hmmm. Colorado would be a great place for permanent residence. Home of WOTH! Today I went to see about a Mexican driver's license, but the police here in town no longer issue them. Little by little. There has to be a way. 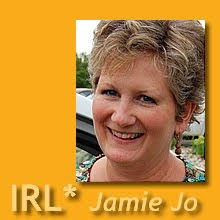 Jamie Jo, can you apply for an International driving license? That would help you be current in Ohio when you go back. They should recognize that. Thankfully GA isn't such a stinker and we can renew online. When I moved back to the US after being in England for 18 months, my agency wrote a great letter to the car insurance company letting them know why my US car insurance had lapsed so that they wouldn't charge me oodles of money for restarting car insurance with a lapse. Maybe your agency could do something like that as well. I know many states have grace periods of up to 6 months sometime for renewing driving licenses. I once got around the residency requirements. I needed a liscence and they wanted proof of residency. I was "staying" with my cousin (for a few weeks), and told the office that I had no rental contract or anything since I had recently moved and was living in my cousin's basement. They required me to bring my cousin along and he to sign an affidavent that I was actually living with him. Voila! Liscence granted! We did figure that for the two weeks I was staying with them, I was definitely living and not dead, so I was therefore living with them. Clear conscience. So sorry to hear of your dilema. When my IN liscence expired a couple of years ago I was able to get on-line (sorry)a pictureless one which I used until I returned to the US the next time and was able to get a 'proper' one. There was a special clause for people in our circumstances. I can feel your panic since it shocked me too as one more hoop to jump through from 6,000 miles away in Europe. May the Lord give you wisdom and 'favor with the king'. I have greatly appreciated your honesty as you share about your life. The past couple of weeks I've been using the word 'real' a lot to describe conversations I've had, or want to have as I connect with people. Today it occurred to me that this is one place where I've found an emphasis on 'real' - so thank you! I am an OH resident (or that's where I base when in the US :) I was checking into that same problem a few weeks ago knowing the mine will expire during my next term. The result... I'm going to have to renew it early (more than a year early). A little extra money but hopefully a lot less hassle. Good for you, Brook! Maybe these posts will alert people to look into this renewal business when they are stateside. I've heard some states will not allow renewals more than six months in advance, so that could be a further glitch. I must be a lucky duck. I just looked at my license and noticed that it expires WHILE I'm in the USA this fall. What wound up happening with yours Jamie? Sorry, Michelle. I should have popped in with an update. I ended up getting a Mexican driver's license instead. It was so simple you wouldn't believe it. Probably the money I paid went in some unethical person's pocket, but the whole process took less than twenty minutes of my time. Not only that, but the nice policeman showed me my photo on the computer screen and let me have two extra tries for a better shot. How's that for service with a smile? They didn't offer me that option in my beloved Texas!